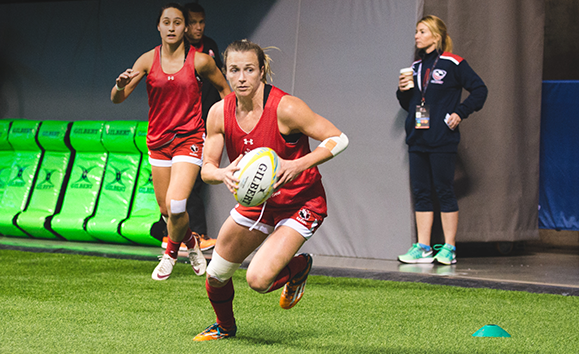 The HSBC World Rugby Women’s Sevens Series features twelve of the world’s best national teams competing at six global destinations for World Series points. Every four years the Series also doubles as an Olympic qualifier, with the top four-ranked teams booking their ticket to the Olympic Games. 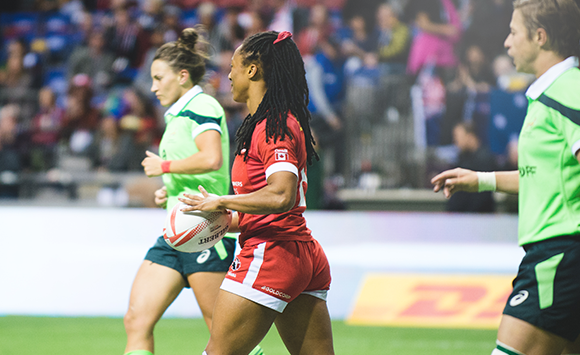 Rugby Sevens made its debut at the Olympic games in Rio 2016, where Australia took home gold, New Zealand the silver, and bronze went to Canada. At each of the six World Series stops, the teams play out a tournament, where they are assigned a point total based on how they finish. The HSBC World Rugby Sevens Series is culminated with a champion being crowned at the end of the season based on total Series points combined across the six tournaments. There are 11 ‘core’ teams participating at each round of the Series including: New Zealand, Australia, Canada, Russia, England, Spain, USA, Fiji, France, Brazil and Ireland. The twelfth team is invitational. Sevens is on the rise internationally, touted as one of the most exciting spectator sports on the market, Sevens is a knock-down, drag-out show of power, speed and agility featuring just seven players a-side covering a full-size rugby pitch. Scoring is frequent, and feats of extreme athleticism are jammed into every play of each short game. The best part is, you don’t have to know anything about rugby to fall in love with the spectacle, and it doesn’t take long to figure the game out if you try. Sevens Rugby is a variant of rugby union featuring just seven players a-side, playing on a full-size field by much of the same rules as the original 15-player game. While a regular rugby union match lasts at least 80 minutes, a sevens match consists of two halves of seven minutes with a one-minute half-time break. The final of a competition can be played over two halves of ten minutes each, with a half-time break of two minutes. Seven players per team compete on the field (compared to 15). Each team gets five substitutes, with five interchanges (compared to 7 and 7). Seven-minute halves (compared to 40-minute halves, in fifteen-a-side). Matches tied after regulation time are continued into extra time, in 5-minute periods. Conversion attempts are drop-kicked (instead of the option to place-kick). Conversions must happen within 40 seconds of scoring a try (compared to 60 seconds). Scrums include only three players per side (instead of eight players). Kick-offs: the team which has just scored kicks off, (rather than the conceding team). Yellow cards get a 2-minute suspension in the sin-bin (instead of 10 minutes) (yes, just like a powerplay!). Suspensions hurt more in Sevens than in Fifteens. Losing 1 man out of 7 opens up an incredible amount of space for their opponent.